When it comes to blogging there is no shortage of tools, information, and resources out there which can make it harder to figure out what’s worth it and what’s the best out there. These tools and resources will help you in your blogging journey to online business success faster and easier. Save time, money, and energy with these handpicked blogging resources. Having a self-hosted blog is a much better way to go than using a free blogging platform like wordpress.com, especially if you want to monetize your blog and look professional. I switched to Siteground from HostGator, and I love it! It’s less expensive yet has more free features. They’re rated as the #1 hosting provider mostly because of their high uptime and quality customer service. Plans start as low as just $3.95 a month! Genesis is the framework I use with the theme Essence Pro. I designed, customized and coded everything myself with the help of Google, StudioPress support, and their community forum. Genesis is SEO-optimized and mobile responsive. Check out Studiopress themes here! Google analytics is the best tool to track your website stats. It’s free too! Grammarly is a writing editing tool that has saved me so much time. If you’ve read or visited my other blog articles, you’ve probably noticed that almost all of my articles are long format (1,000+ words) and a majority are around 5,000 words. So, I write a lot. Grammarly helps speed up the process and has saved me from embarrassing grammar and spelling mistakes. I use the paid version, but they have a free version that’s super useful as well. They even have a chrome extension which is great if you do a lot of online writing like writing emails. I have noticed a huge overall improvement in my writing and vocabulary since using Grammarly. It not only helps correct mistakes, but it also improves the quality and clarity of your writing. It’s super easy to use too. Try Grammarly for free here! OneNote is what I use for everything writing whether it’s notes, blog posts, lists, etc. I have tried to use Evernote before, but I find that it the lacks accessibility and customization that OneNote has. I use the app both on my computer and on my phone, so I can always write anything on the go. It’s free too! Google docs is what I use to store the final published version of my blog articles. I don’t use it for writing blog posts or note taking because of the lack of navigation, categorization, and folders. This is a must-have plugin for any blogger to SEO (Search Engine Optimize) their posts. Hands down the best plugin for SEO. They have a paid version, but the free version is all you really need. A free plugin that lets you backup your website to stay safe if anything happens. This plugin gives you the social media share buttons with counts at the top and bottom of your blog posts. You check them out at the top of this blog post. ConvertKit is simple and easy to use. It was created by bloggers and made specifically for bloggers. You might’ve heard that the money is in the list. That’s why it’s a good idea to invest in your email list. With ConvertKit, you can create customizable opt-in forms and landing pages to help you build your email list. MailChimp is a free alternative up until a certain number of subscribers. I used MailChimp before officially launching my blog to collect subscribers, but I switched over to ConvertKit right before I sent out the first email of my launch. Tailwind is the most popular Pinterest-approved scheduler for pins. It has helped me grow a lot faster than I would have by manually pinning. It saves so much time and helps you pin consistently. They also have tribes which have helped immensely grow my traffic from bigger bloggers saving my pins. They’ve also recently introduced Instagram scheduling, but I have not tried it out yet. Try Tailwind for free and schedule your first 100 pins here! Planoly is an Instagram scheduler that helps you plan and schedule your Instagram feed. I’ve tried it out but haven’t scheduled anything yet (I really need to). It was super easy to use. You just drag and drop the images you want to plan out and arrange them to your liking. Media.Net is the ad platform I use to monetize my site. Google AdSense is an alternative, but they have yet to review my site and let me know if I’ve been accepted or rejected. I also find Media.Net ads better looking and more fitting than AdSense ads. Get 10% more of your revenue for three months with my link! ShareASale is an one of the largest and most popular affiliate networks. They have thousands of available merchants and brands that you can promote. It’s where most of the affiliate brands I promote are. It’s really simple and easy to use. You can search for merchants and apply to their programs. Sign up for ShareASale here! Skillshare is one of the tools and platforms I used to learn many of the technical skills of blogging as well as things like productivity and marketing. They have classes for everything! The video classes are a lot more comprehensive than YouTube with actionable steps given. The classes are organized into lessons so you can take your time and also go back to where you left off. Get your first two months free with my link! I love, love, love this course! Natalie’s approach is so unique. It’s much different from other blogging courses. I learned so much about marketing and key principles which is what really matters when it comes to growing and making money from your blog. I highly recommend this course. It also includes lessons on mindset, time management, and productivity. If you want an all-around blogging resource that has everything and I mean everything, this is it. BBC a community with courses and much more. Just the value of the community and being able to have any blogging question you have answered is worth the price. The courses are in-depth and include everything from Content Creation, Pinterest, Monetization, Email marketing, and more. This is the course that helped me launch my blog the right way. I made so many mistakes from watching YouTube videos. I wish I had invested in this course much earlier way before the launch of my website. It could have saved me a lot of the guesswork, time, energy, and mistakes. Pinterest Traffic Avalanche is another course from Create and Go. What I love about this course is that it’s all about Pinterest which is a beast in the blogging world. Mastering Pinterest will help bring a lot of traffic and sales. This course along with Tailwind helped me grow my Pinterest monthly viewers from 4k to over 200k in 2 months! I bought their Pro Blogger Bundle which includes Launch Your Blog, Pinterest Traffic Avalanche along with their other courses Make Money Blogging for Beginners and Six-Figure Blogger. This is a great option if you want to get all their courses and save money. 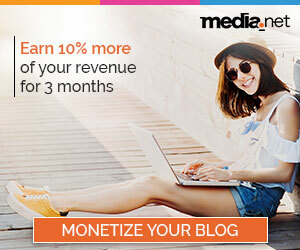 They also have the Blog Monetization Bundle if you’ve already launched your blog which includes both Make Money for Beginners and Six-Figure Blogger. I have purchased other blogging courses, but these are the ones I highly recommend the most. I try to use my own photos whenever I can, but I took most of my photos before I knew the extent of the importance of pins. So when I need to make some extra pins or don’t find pictures that are suitable, I use free stock photography. Unsplash is what I use to find most of the stock photography for making pins. They have a wide variety of free quality photos that aren’t too “stocky” either. I use Canva to create my Pinterest images. I also sometimes use Photoshop, but I find Canva to be quicker and easier, and it’s free! They have a paid version, but I use the free version. Hopefully, with this list, you’re able to find a tool or a lot of tools that will help you successfully blog better, faster, and easier.